SEO has come a long way since its inception and is now considered as one of the foremost tools needed to market a business today. As a newbie in the field, you may have some apprehensions about choosing the correct e-commerce SEO Agency for your needs. Here is a quick roundup of the important factors you need to consider when choosing a company that provides SEO services. When choosing an e-commerce SEO company, make sure you check the number of years the company has been in the industry, as well as its expertise in the field. It may be very easy to fool customers using a decent looking website and some SEO lingo. It is considered wise to avoid SEO companies that have been in the industry only for two years or less. While you may get a fantastic deal from a company that has only launched its service in the previous year, you may end up becoming a guinea pig for a company’s experimental business. Go for a company that has been in the industry for at least four years or more. If you still insist on working with a comparatively younger firm, insist on speaking to previous customers and ask for references you can check out before giving your nod. A company that deals in e-Commerce SEO services but does not follow the first basic step of a successful SEO campaign itself is something you need to be wary of. It is imperative that any company you deal with for that matter has complete and authentic contact information on its website as well as in Google local listings or yellow pages. With social media being instrumental in an SEO campaign, an active online presence is also considered a must. A company that has none of this information and does not provide you with the same when asked is surely an imposter. What is the first thing you would look for in a company that claims to provide stellar e-Commerce SEO Services? How much they incorporate their own ideas and principles in their website of course! A company that offers help with SEO must have spotless SEO itself. And one way to identify this is on the company’s website. A properly designed website that is kept up to date is a sign of a company with good SEO. A lazy design, however, with incomplete, outdated information is a sure shot sign of a company that has the least interest in its SEO let alone yours. The search algorithms commonly used in SEO keep on changing, which means understanding them completely is next to impossible. The best possible way to work with these algorithms is to create optimistic goals framed with a small lens of uncertainty. And this is what you need to look for in a company that offers e-commerce SEO Services. Consider the rankings provided to each page by Google and other search engines. There is no guarantee to the rank a website can achieve. A company that helps you with your business’s SEO can only provide an estimate of the rank you can achieve via website optimization. A company that guarantees you a spot on the top of the search list or worst yet, the #1 rank is surely lying through its teeth. The same goes for forecasting the amount of traffic, as well as the number of conversions, your website experiences. An SEO Company that provides a rough estimate of these numbers can be trusted while a company that provides specific numbers and guarantees them cannot. So how do you go about choosing an SEO that does not guarantee performance with figures? Choose a company that believes in setting benchmarks for success instead of guaranteeing performance. SEO tends to be a long-term game, meaning the performance can be measured in the course of months or years. 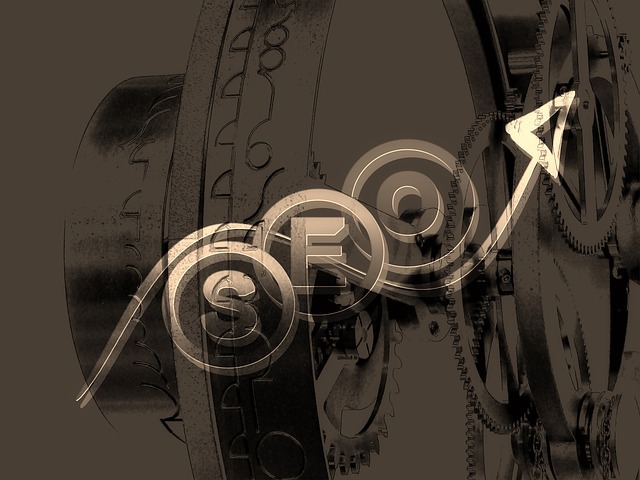 The SEO Company that you work with will need to identify the areas of optimizations that can increase the amount of qualified traffic to your website. It should be very clear on the strategy it would utilize for the same purpose and explain the same to you in a detailed manner so that you know what you are paying for. A lot of SEO firms outsource their work to foreign agencies these days owing to reduced labor costs and increased productivity. While it can be encouraging to think that your business’s SEO goals would be met by talented SEO experts from around the world, there are high chances for it to fall in the hands of novices and inexperienced SEO professionals who could waste your time and money considerably. If the company you approach for a Sun e-Commerce Package tends to outsource its services to a foreign firm, do not hesitate in asking about the credentials of the firm, as well as its expertise in the field. With SEO, you get what you pay for. Don’t be apprehensive about asking questions so long as it would help you land a deal with a great SEO agency or its foreign subordinate. This is one of the oldest tricks in the book and the one that almost every other business falls for. A company offering attractive packages like SEO for ecommerce Websites in 2018 can promote a renowned SEO expert as its lead and as the person who would be working for your SEO. However, unknown to many, the actual work may be handled by inexperienced SEO specialists. Hence, it is essential to ask the company about who would be working on your project and to possibly provide a contact number so that you can be in touch with the concerned individual on a regular basis. Make it a point that you would want to be informed about regular updates and sign on the dotted line only if you know the company’s work will match your expectations. On the lookout for a company that offers e-commerce SEO services? Ensure that you keep these pointers in mind when scouting for the best possible SEO agency to meet your expectations and SEO requirements. Vishal Vivek co-founded the leading digital marketing company of India, SEO Corporation. Vishal has been ‘shoulder’ deep in his responsibilities as the CEO of the company since last 7 years. In his free time, he’s found researching new non-fiction novels, reviewing new books, enjoying somewhat risky vacations and spoiling random stray animals with love.